The party, led by Daniel Andrews, this week committed to help the small country town of Newstead, near Bendigo, to become 100 per cent renewable by 2017 – a plan that will focus primarily on solar power and battery storage. The latest nod to renewables comes a few days after Andrews said that a Victorian Labor Government would reverse the state’s highly restrictive wind farm planning laws, introduced under the Coalition’s Ted Baillieu, and unlock billions of dollars in stalled investment. For the Newstead project, Labor says it will commit $200,000 of grant funding to help the local community group behind the project to draw up a master plan. 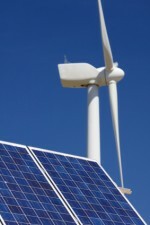 Shadow Minister for Energy and Resources, Lily D’Ambrosio, also said Labor would ensure small renewable energy projects could have fair access to the existing grid. She said Labor would ask the Essential Services Commission to inquire into the true value to the grid of distributed generation, and seek to ensure that distribution businesses are more responsive to distributed energy proposals. “Labor will also ensure that energy retailers cannot discriminate against rooftop solar customers by charging extra supply fees,” a Victorian Labor release said. Newstead is not the only Victorian town seeking to go 100 per cent renewable. Yackandandah is another town that wants to be entirely renewable by 2022, and its Totally Renewable Yackandandah campaign will be officially launched next week. But D’Ambrosio says Newstead would be a leading example of what can be achieved when locals and government work together. Environmental groups have welcomed Victorian Labor’s shows of support for renewables, but stress that the party is yet commit to set targets, or plans for the state’s ageing, polluting brown coal generators. Giles Parkinson regularly contributes unique content to Solar Choice News. Giles is the founder and editor of clean energy industry news service RenewEconomy. He is a journalist of 30 years experience, a former Business Editor and Deputy Editor of the Financial Review, a columnist for The Bulletin magazine and The Australian, and the founding editor of Climate Spectator.